9-Year-Old Reads Bible In the Car's Backseat—When He Looks Up, Mom Is Making "Funny Faces"
Nine-year-old Ben Daley was riding home from church with his mom, Nicole Piatt, and his one-year-old baby brother Elijah last Sunday just like usual, but it turned out to be ANYTHING but an ordinary drive home. He was taking the time in the car to read his Bible (must have been a great Sunday school lesson! ), but when he looked up from his reading, he noticed something odd. Unbeknownst to Ben, his mom was having a seizure. 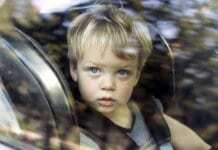 Without missing a beat, he unbuckled himself and lunged into the front seat, grabbing the steering wheel. “I took the steering wheel, and it shift to the left and we hit the curb and turned off the car and then the whole thing kind of liked stopped,” Ben said. They had already bumped another car slightly, but now Piatt’s car came to rest against the center median. Ben’s actions most likely saved a lot of motorists from injury or possible death—including himself and his mom and brother. “All the EMTs and the police officers told him if he wouldn’t have done that, all three cars would have flipped,” his mom added. EMTs told Nicole she had suffered a seizure—her first ever. “It kind of made me think twice and say my blessings and be grateful for everything that I do have because everything could be taken away in a moment’s notice,” she said. 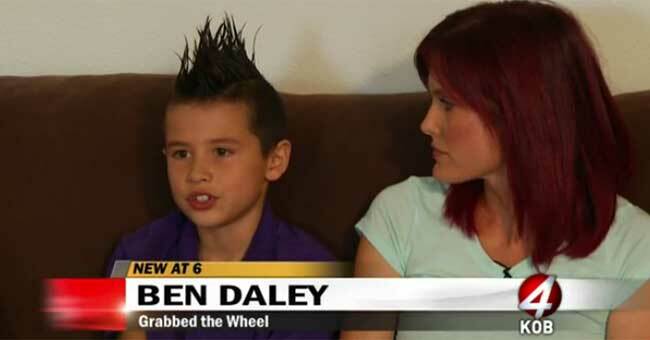 As for her son, his actions didn’t surprise this mom a bit. Kudos to you, mom, for raising such a fast-thinking, selfless child! I’m so thankful God was with you all and had angels protecting you and your fellow motorists!